The nature and scale of human impact on the Amazon rainforest featured in BBC4 Unnatural Histories is among the most debated topics in archaeology, paleoecology and conservation (Nature News). Since the programme was aired for the first time in 2011, Amazonian archaeology has come a long way. All these advances can now be read in the hallmark synthesis of Denise Schaan Sacred Geographies of Ancient Amazonia and the papers of the forthcoming Proceedings of the III Amazonian Archaeology Conference (2014). During this period major progress have mainly been achieved by projects which closely integrate archaeology, paleoecology, soil science, ecology and botany (Mayle and Iriarte 2012). For example, my interdisciplinary work in French Guiana revealed a unique perspective on land use before and after Europeans arrived to the Americas in 1492. In contrast to tropical forest contexts where the collapse of indigenous populations after 1492 led to decreased forest clearance for agriculture, our work showed that fires in these Amazonian savannas are a post-Columbian phenomenon. By also revealing that pre-Columbian raised-field farmers limited fire, this research has offered a fresh perspective on an emerging alternative approach to savanna land use and conservation that can help reduce carbon emissions (Iriarte et al. 2012; Renard et al. 2011 ). Similarly, in the Bolivian Amazon, the novel combination of multi-proxy plant recovery techniques combining phytolith, starch grain and macrobotanical analyses have evidenced, for the first time, the diversity of plants consumed in this region in pre-Columbian times including maize, manioc, yams, squash, cotton, palms among others (Dickau et al. 2012). In the same region, combined paleoecological and archaeological work also showed that pre-Columbian deforestation was localized to the vicinity of individual habitation mounds, whereas the inter-mound areas remained largely forested (Whitney et al. 2013). The interdisciplinary work of Lombardo and his colleagues in this region is also proving revelatory (Lombardo et al. 2011; 2012). We are also continue to lay the foundations for future analysis developing new techniques to recover large pollen grains from cultivars (Whitney et al. 2012) from lake sediments and show how Neotropical ecosystems can be tell apart from their phytolith assemblages (Dickau et al. 2013). Since the airing of Unnatural Histories, new studies have also shown that the modern floristic composition of the forest is partly the result of pre-Columbian activities and management practices. 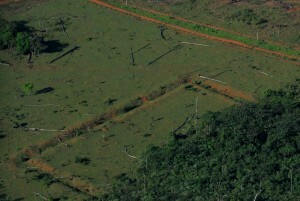 For example, the interdisciplinary study of Shepard et al (2011) combining genetics, botany and historical linguistic analyses suggest that many of the terra firme forests are dominated by useful trees like Brazil nut (Bertholletia excelsa), which appear to have been propagated by humans during the first millennium A.D. Similarly, recent floristic inventories in the lower Purus-Madeira river by Levis et al (2012) strongly suggest that past forest manipulation was not limited to the pre-Columbian settlements along these major rivers, but extended over interfluvial areas considered to be primary forest today. Research on the human-made soils called Amazonian Dark Earths, arguably the most compelling evidence of human alteration of tropical environments in the Americas, has also progressed as showcased by the work of Schmidt (2014). Two PhD Brazilian students funded by CAPES, Daiana Travassos and Lautaro Hilbert, will investigate the diet and agricultural practices carried out in Amazonian Dark Earth in the Lower Amazon. New archaeological discoveries have also taken place. By the time Unnatural Histories was filmed, around 200 of these massive geometrically pattern earthworks called Geoglyphs were known in SW Amazonia. Today the tally has increased up more than 400. By itself, this massive archaeological evidence calls into question McMichael et al. study (2012) suggesting that ancient human occupation in Western Amazonia was sparse. Ongoing work by PhD student Jennifer Watling (Young Researcher Scopus Award) in this region will contribute significantly to this debate by closely integrating archaeology and paleoecology. Another major discovery was carried out by Lombardo et al. 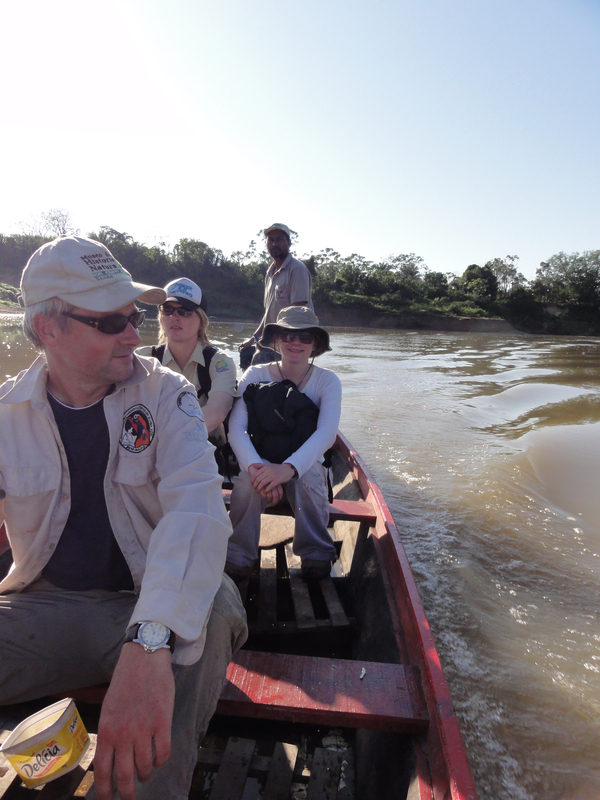 (2013) who exposed the ‘Hidden Shell Middens’ documenting for the first time the human occupation of in the Bolivian Amazon since the early Holocene. This brief summary of advances in Amazonian Archaeology, which has no intention of being comprehensive of all the new developments, show how vibrant is this field of research has become in the last few years; one that has major implications for conservation, indigenous rights and sustainable Amazonian futures. This entry was posted in research on 12th Dec, 2013 by Lara Faith Cronin.